identify bottlenecks and take your team's productivity to new heights. Get Nave Power-Up for your Trello board and watch your visual charts come to life. 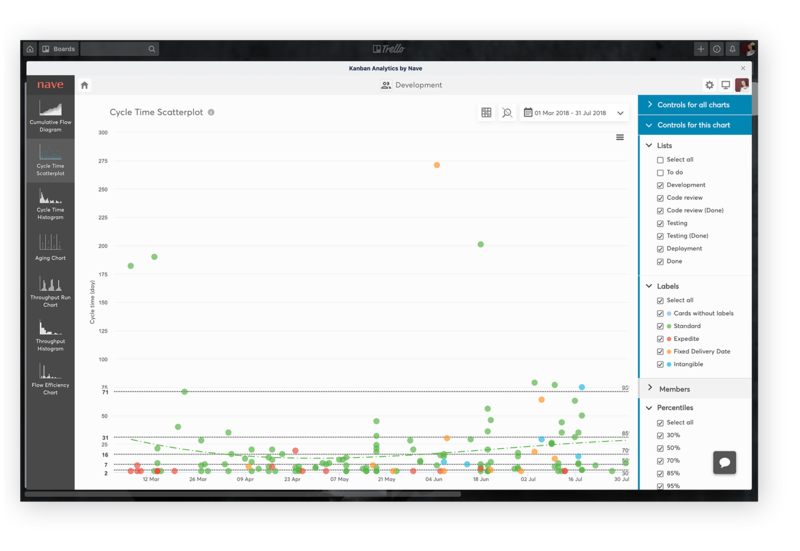 Nave seamlessly integrates with your project and builds visual analytics tools over the complete history of your board. 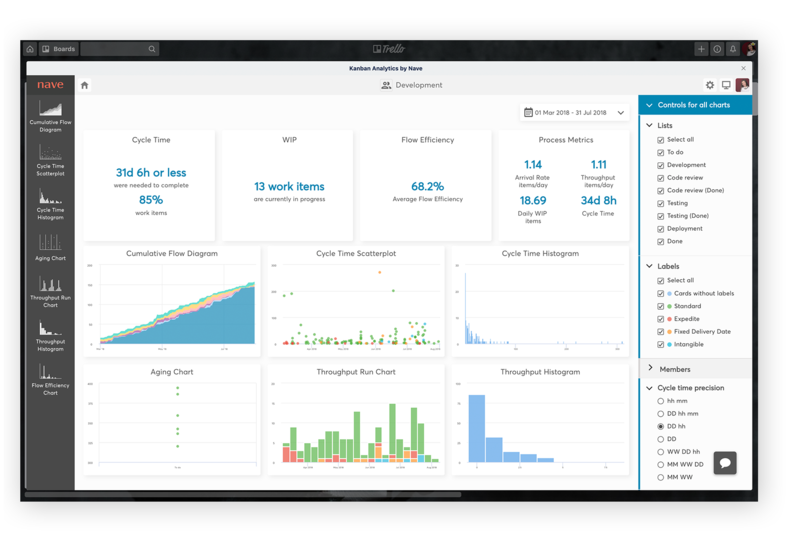 Track your work in progress, make data-driven forecasts, and boost your team's efficiency with the help of our industry-enhanced analytics tools. Nave helps you evaluate and refine your flow. Filter by specific Trello lists, labels, or team members. There are no limits to how deep you can dig into your data. How to Enable the Nave Power-Up in Trello? On your Trello board, navigate to the right-hand side Menu and click Add Power-Up. Add Kanban Analytics by Nave from the Analytics & Reporting tab on the left. Click Add and grant Nave access to your board. You're free to create as many dashboards for as many Trello boards as you need. We sync all of your Trello data, from the moment of board creation to date. 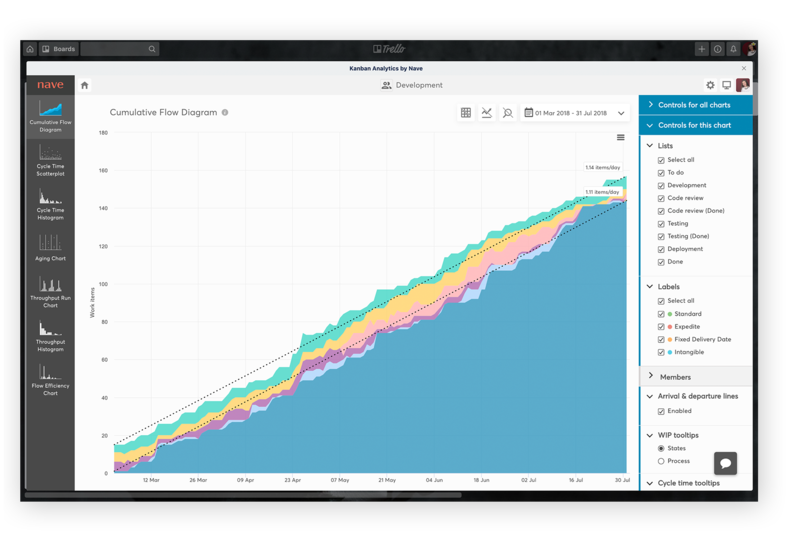 Visualize your progress in real time! 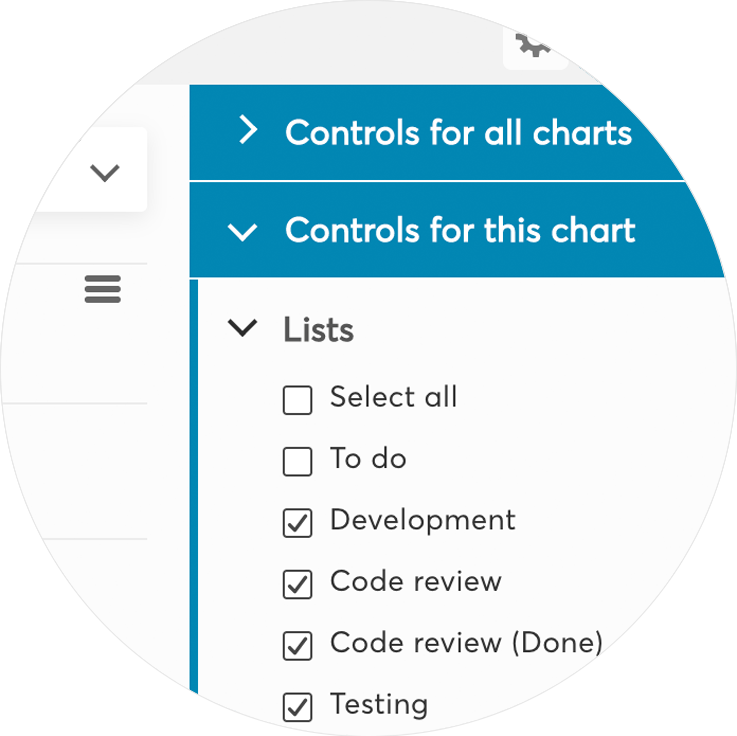 Nave automatically updates your charts as soon as there's a change in your Trello board. A truly cost-effective solution for your business. Pay for active users only. Instinctively navigate through your dashboard. Data analysis has never felt this effortless. Finding it hard to make sense of your data? We have a dedicated blog & numerous resources at hand to point you in the right direction. Gain actionable insights without ever leaving Trello!